London, Asharq Al-Awsat—The adhan, the Islamic call to prayer, rings out as the screen fades to black. Allahu Akbar, Allahu Akbar; God is Great. A man with a thick beard stares imperiously down the camera lens and then throws back his head and bursts into laughter. Not what you were expecting? This isn’t Homeland or Zero Dark Thirty or any of the other recent movies or TV shows that depict Muslims as shadowy terrorists out to get out you. Rather, you are watching Combinations, a film that aims to promote multiculturalism and challenge racism. This short film has been produced by Media Cultured, an organization that aims to use film and social media to challenge extremism, both by and against Muslims. Media Cultured is a community interest company based in Middlesbrough in northeast England. The media company’s philosophy, according to its website, is to “promote community cohesion and harmony by using film and social media to teach tolerance and integration”. Combinations, made in conjunction with Thousand Yard Films, is one such project. It is a short documentary piece that examines a prominent member of a small-town British Muslim community, his views on and experience with racism, and perpetuated stereotypes. This is a sentiment echoed by Media Cultured Founder and Director Amjid Khazir. 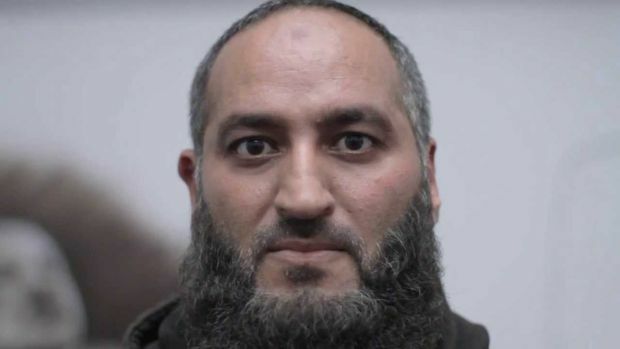 In an interview with Asharq Al-Awsat he emphasized the importance of British Muslims being active in their local communities, particularly the online community, where he warned against the “dark attraction” that misinformation and extremist views can have on young and vulnerable minds. Khazir started out in public relations before becoming an Internet marketing executive; it is here that he first noticed the “trend of misinformation flooding the Internet about Islam, to both Muslims and non-Muslims” describing this as the “pathway” to extremism. He said, “The work and the experiences I have had were the bedrock of the initial epiphany of how media and especially film could be the key to promoting lateral thinking and common values without seemingly propagating a particular faith or ideology” adding “the aim is to use the media to find common ground and bridge the gap.” Thus, Media Cultured was born. Combinations is set to play a big part in Media Cultured’s campaign to reverse this trend and celebrate British Muslim culture. The media group aims to show the short film in classrooms, lecture halls, and to local councils and organizations across the country in order to promote a better understanding of Islam and British Muslims. He emphasized that the aim was to produce a mainstream film that will “engage with and educate the youth who will make up the next generation.” The Media Cultured director was also keen to stress that the organization aims to walk “the middle path” between extremism on both sides, whether we are talking about far-right xenophobia or pseudo-religious radicalism. However not everything is perfect, as evidenced by the need for such a media company in the first place. Khazir’s journey to establish Media Cultured was born out of tragedy. It was the death of his uncle, Mohamed Zabir, in 2011 that persuaded him to quit his job and focus on Media Cultured full-time. Taxi driver Mohammed Zabir died of a heart attack just one month after suffering a brutal attack at the hands of a drunken passenger, with Khazir describing this assault as “race-related.” This attack took place on the eve of an English Defence League (EDL) march through the city, and Khazir is in no doubt that the march, attack, and his uncle’s death are related. Simultaneously, the Media Cultured Director was also keen to stress that the assault was the actions of a single individual, and those at the scene of the crime were quick to offer his uncle first aid and chase off his attacker. Khazir described Media Cultured as a “shining example” of David Cameron’s “big society”, particularly as it is part of the entrepreneurial “Fellowship programme” of Teesside University’s DigitalCity Innovation department. Combinations is just the first of many films to be produced by Media Cultured. The media company is also in the process of developing a new film entitled Head for Cover, which will look at the history and contemporary views on the hijab. The film will focus on local “sisters” raised in the west but who identify with Islam and Muslim culture, as represented by the hijab. Khazir ended the interview by issuing a call, inviting Arab and Middle Eastern entrepreneurs and media groups to get involved and “get the message out”, not for the purposes of propagating religion but to teach the world about the Muslim’s place in the modern world.